As I’m currently away in Santorini and scheduling this before I go, I thought I’d do another easy theme for #iwillwearwhatilike: Casual wear. I’m pretty sure everyone will have worn something casual this week – though as I always, always say the theme is optional. If you’ve been wearing nothing but party frocks all week (lucky you) then let’s see those instead! As autumn has its evil little paws on the UK’s weather front, there are a few pieces I’ve been wearing in the last couple of weeks that I’ve had on rotation, namely, the khaki pants and denim jacket. The former was last seen Friday before last and the latter will reappear on Wednesday, albeit styled very differently. I’m always more than happy when you can throw on some loose-fit trousers, denim and some cool sneakers – I may not feel the same when I get back from holiday and feel a huge drop in temperature, however…! 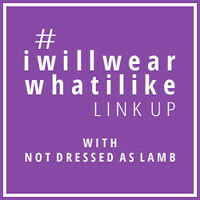 The link up is getting more popular week on week, so do please spread the word and let other other lovely ladies know about #iwillwearwhatilike. I’m hoping the WiFi will work by the pool so I can keep up with what you’re all wearing! What’s your go-to casual piece? Jeans is the obvious one, and if so – what’s your style of choice? Leave your comment below! Thank you for joining my new #iwillwearwhatilike link up! This started as a campaign on Instagram in August 2015 where women over 30 wore everything on a journalist’s list of “inappropriate” items for 30+ women (including leopard print, short dresses and oversized sunglasses. Yes, really). It was so popular that I decided to carry it on weekly where women of all ages link up their fabulous style, never mind what anyone tells them not to wear. So link up all your fabulous outfits (or shoes, accessories, make-up, etc.) every Monday at 3pm UK time. Whilst the original article was of course aimed at the 30+, you can be ANY age to link up. The only criteria is that you’re fabulous! No favourites from last week’s link up I’m afraid: I scheduled this post before my holiday which is where I am right now (follow me on Instagram for updates)! I’ll be back on it next Monday. P.S. 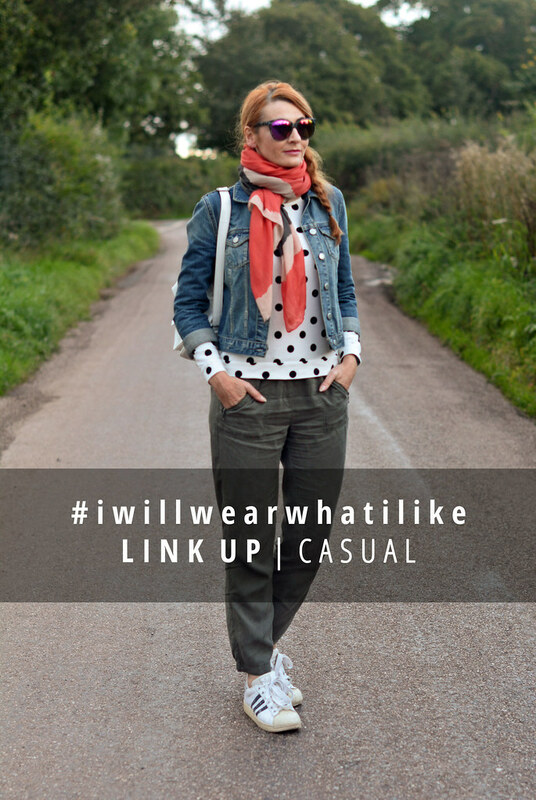 Don’t forget to add your casual looks to Instagram with the #iwillwearwhatilike hashtag! Previous Post Why Do Some Women Lie About Their Age? Oh… I can join in with this one. No problem. Indeed jeans would be my go-to casual outfit. At the moment with my black long knitted sweater and my cream booties, but I think I have already used that one. Oh well. More to come. Having a ball checking out what the ladies are wearing every week, keep 'em comin' girls! I've been thinking a lot about you–over there in Santorini! I hope (and kind of just know) you are having a fabulous time. At least your pictures tell us so! 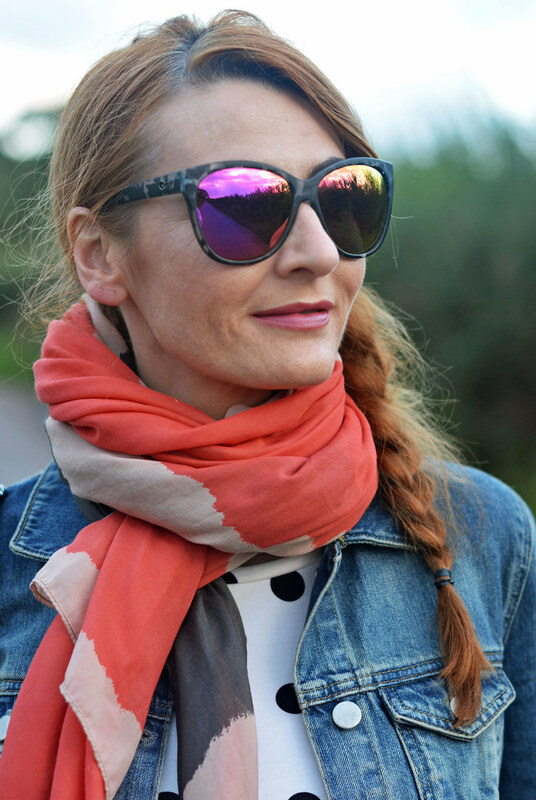 For this round of linking up, I went with four of The Fab 40s blogger collabs. I've met some pretty spectacular fellow bloggers via these posts. I'm really enjoying and learning from so many fabulous 40 something beauties out there right now–you included of course! aww Ann you're such a sweetheart – thank you!!!!!!!! Beautiful look Catherine and thanks for hosting. I love your look! Adorable and comfy. I always go for boyfriend jeans and some kind of tee or tank layered with a plaid shirt or a sweater and my Converse Chuck Taylor sneakers! Love this casual look on you! Hope you are having a fab time on your holiday. 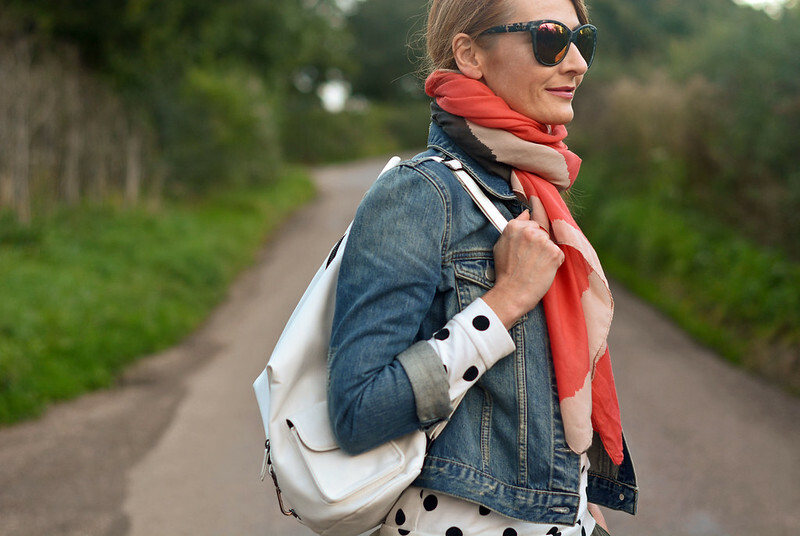 The pop of colour of the scarf adds that finishing touch against the polka dots. Because of the seasonal skinny style challenge I'm doing my go to casual outfit is…er… guess what… skinny jeans. But even before that, there were my casual wear. You are the poster girl for casual chic, proving that "casual" doesn't mean frumpy-dumpy! I'm in Nashville, home to Imogen + Willie jeans, manufactured right here. We wear jeans a lot! I'm lusting after some flares now but find it nearly impossible to find any for someone as short as me. I love seeing all your Santorini photos on IG! Loving the polka dots and I'm seriously crushing on your sunglasses. Hope you're having a wonderful hol. All I wear is casual wear, so this topic is right up my ally! 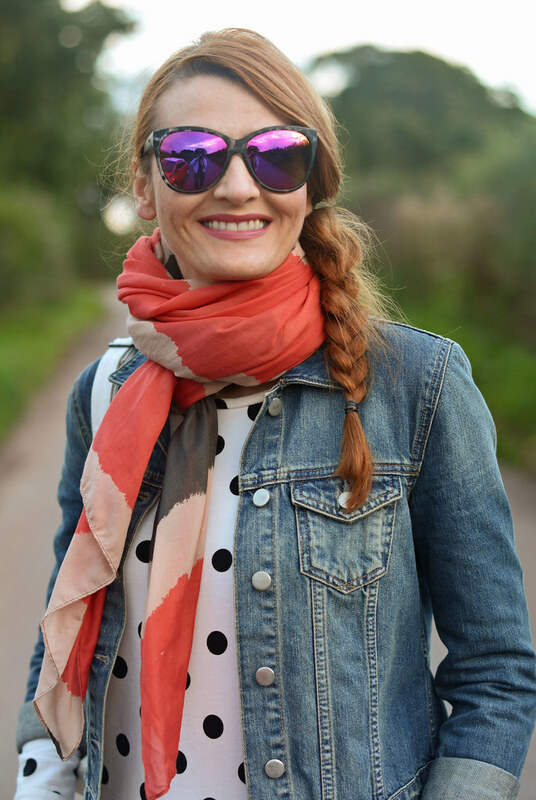 Love your polka dotted top and scarf! Love the polka dot top! I always go for jeans! My tops vary depending on the season: t-shirts and tank tops for summer, long sleeves for spring/fall and sweaters for winter! Have fun in Santorini! Santorini? LUCKY girl! One of my favorite places to visit – people, culture, beaches, blue & white homes – you get what I'm talking about. Have fun there and thank you for getting this link up party going for us. Lovely – it's casual but still tres chic! I always go for leggings with a cute mini dress as my dress-down attire, either with ballet pumps or boots as weather dictates.